In the decades following Wesley, Methodism experienced an ebb and flow in respect to the doctrine of an instantaneous event of sanctification. The historical pattern typically involved a generalized neglect of Wesleyan-teaching by Methodist-leadership resulting in a gradual declension from first-principles. Methodism would neglect its Wesleyan roots and draw away toward a view of salvation which treated holiness as an exclusively progressive-experience. Occasionally, stalwarts of Holiness-teaching would rise-up and forcefully remind Methodism of its Wesleyan-roots resulting in a new zeal for Wesleyan-teaching and periods of spiritual-renewal. Since the days of Wesley there remained a persistent tension between the Progressive and the Holiness factions within Methodism – the latter holding firm to the Methodist-distinctive (some say its “crowning” doctrine) of sanctification as a “second-definite work of grace”. Devotion to the Wesleyan teaching of an instantaneous-experience of sanctification was renewed in the 1830’s through the teachings of Phoebe Palmer. Palmer went on to become extremely influential in the nineteenth-century Holiness Movement and is considered one of its primary founders. Phoebe and her husband, a homeopathic physician – were devout Methodists. Mrs. Palmer began teaching in her sister’s New York City home in meetings that would become famous, known as the Tuesday Meeting for the Promotion of Holiness. She began leading these meetings in 1837 and as the result of the interest which her meetings generated they were opened to men in 1839. Her meetings had the sanction of Methodist officials and were even attended by some of the bishops of the Methodist church. It may be relevant to any discussion of her theology that prior to this time the Palmers had suffered the loss of three children, the last being a truly horrific accident in which her infant daughter burned alive in her crib. She cites to these experiences as factoring heavily into her spiritual life, stating that her children had been “idols” to her. Palmer identifies the loss of her last child – through burning – as the time she turned to God, rather than away from Him. Both Mrs. Palmer and her husband claimed to having experienced an event of entire sanctification just-prior to her commencing upon teaching the experience to others. The Spirit then suggested, If it is a gift from God, God is not exclusive in the impartation of his gifts and you will be required to declare it; to declare it as his gift, through our Lord Jesus Christ, ready for the acceptance of all, as his free gift; and this, if you would retain the blessing, will not be left to your own choice. You will be called to profess this blessing before thousands! Can you do it? Mrs. Palmer maintained that the “witness of the Spirit”, foretold by John Wesley, would come thereafter, which necessarily contemplated the baptism in the Holy Spirit. She taught that the “second blessing” should be claimed by faith regardless of whether one actually perceived or felt anything at all. The doctrine that Phoebe Palmer advanced became known as “altar theology”, and achieved wide attention through its publishing in Thomas Merritt’s periodical; The Guide to Holiness. Palmer then had a book published called; The Way of Holiness which became foundational doctrine for the holiness movement. Her teachings had a profound influence on Methodism, as well as on such notable leaders of Holiness ranks as A.B. Simpson, Charles Cullis, and A.J. Gordon. At length, while engaged with some brethren in Michigan in holding some meetings in the autumn of 1871, I heard yet more definite instruction on this most important feature of Christian experience. Early in the morning of October 31 of this year, in the city of Adrian, as I was communing with my own heart upon my bed alone, I made this resolve: “I will go to the meeting this morning, and there, it may be, I will receive the longed-for baptism,” when something seemed to whisper, “Why not now?” And at once, I responded, “And why not now?” I hardly knew how, but O, such a flood of glory as covered me. My whole being seemed permeated with divine power and joy unspeakable. I wept tears of joy. That morning I made a formal consecration at the family altar, and went to the meeting and testified to what God had done for my soul. The first test I had was the suggestion that when I returned home I should say nothing about it, or speak of it only in general terms and let people judge from my life. But I soon saw that my covenant of consecration meant to speak for God as His witness, and He gave me the victory. I have not been free from various tests and severe temptations, but the gracious Lord has been with me, and while there have been times of momentary wavering yet at no time have I lapsed entirely from this experience, and the Lord has taught me many precious lessons of His truth, and blessed to my greater establishment in holiness some very severe trials; and through the exceeding riches of His grace I can now say the blood cleanseth and the Comforter abideth within my heart. Glory to the Father, Son, and Holy Ghost! Clearly, this man had profound spiritual experiences. But consider this is not a testimony we would expect to hear outside of his generation. For instance, when we hear someone’s testimony about receiving the Holy Spirit, we might expect to hear an account involving speaking in tongues. We might not expect to hear the topic of consecration raised in connection with the baptism in the Holy Ghost. Also clear, is that he interpreted his experiences through the prevalent Methodist doctrine of his day, ie. Palmer’s altar theology. While Mr. Woodard describes nothing from an objective standpoint that we would count unusual in the way of religious experience, ie. he describes only such things as joy (among other emotions), it is his interpretation of experience that renders his testimony distinctive. And Woodward’s account is representative of many of his generation whose interpretation of religious experience was saturated by Palmer’s teaching. Altar theology was not without controversy in its day. One notable critic of her theology was the venerable Methodist leader, Nathan Bangs, who called it “easy believism” and warned that the blessing of sanctification should not be claimed until such time as the Holy Spirit testified that the work in the soul had been complete. 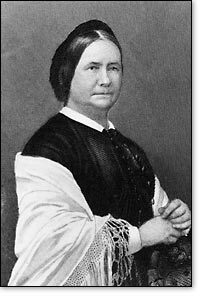 Bangs’ criticisms were joined by many within Methodism who rejected her teachings as presumption. There were also many for whom personal experience with this teaching turned them away from Wesleyan doctrine and any hope of an instantaneous-work of sanctification. One particularly consequential example is the case of the Rev. James Mudge, the man perhaps most singularly responsible for driving the Holiness Movement out of the Methodist church in the latter part of the nineteenth-century. In his youth, Mudge struggled with the expectation of an instantaneous sanctification. Under the influences of Ms. Palmer’s teachings he was advised to receive his experience with God “by faith” without expecting any real feelings. Years later, he looked back on this experience with much skepticism. 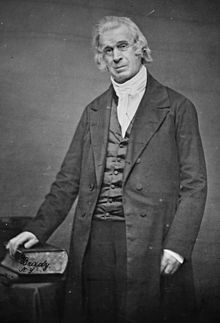 He determined later in life that the work of sanctification had not been completed in his life, and commenced upon an offensive against Wesleyan teaching in the Methodist Church entirely. He would eventually be successful in turning the tide against Wesleyan holiness doctrine that brought its official and drastic repudiation by the Methodist Episcopal Church, and resulting in the mass exodus from Methodism that occurred in the 1890’s. We will examine the doctrine of Phoebe Palmer further in a later article. Wesleyan-Holiness Aspects of Pentecostal Origins; As Mediated through the 19th Century Holiness Revival, by Melvin E. Dieter as contributing to Aspects of Pentecostal and Charismatic Origins, Edited by Vinson Synan © 1975 Logos International at pg. 65. The Meaning of Pentecost in Early Methodism by Laurence W. Wood © 2002, The Scarecrow Press, Inc. Lanham, Maryland, & Oxford at page 318. This entry was posted in 2F. HOLINESS MOVEMENT (Application to Reformed & Evangelical Theology) and tagged altar theology, immediate consecration, nathan bangs, phoebe palmer, shorter way to sanctification. Bookmark the permalink.